In spite of load-shedding for half the day, various professional sectors of the Nepalese society are engaging in professional development through web-based networking. Because Nepal’s entry into the global professional markets through networking on the web is going to shape the future of the profession of English Language Teaching in Nepal, small efforts today will count as important foundation tomorrow. The increasing presence/activities of Nepalese ELT professionals on the web–email group, blog and wiki, social networking (e.g., Facebook group), and the conventional website–are evidence of the next milestone that this community will, and must, be making. As one small part of this new development, a few ELT professionals started sharing something to read and discuss on a monthly basis one year ago in January 2009. Reflecting on the first year of this small step, we would like to share a few ideas about the challenges, prospects, and future direction for Nepalese ELT professional community on the Web. We started discussing our desire to add substance and professional quality to the ELT discussion that have taken place on Nelta email list for some time. This desire was not just the result of more reliable access and increased technological skills on the part of a few of us who were studying abroad; it was most importantly the consequence of realizing that Nepalese ELT professionals constitute a highly resourceful community that has done a lot in terms of building a great professional organization but a new wave of professional networking was absolutely necessary because while the community has long been connected to the global community but too many members (teachers) seem to not regard their ideas and experiences as worth professional discussion. So, we started a wiki based sharing and responding to ideas by naming the forum Nelta Choutari, as a public square for discussing ELT issues pertaining to the promotion of Nelta and the teaching of English in Nepal. e. overall, this would mean the promotion of critical discussions among English language teachers as educators who do not limit themselves to just teaching a foreign language for its own sake but who do so for achieving the larger goals of education: raising critical awareness about the society and the world in students, using local knowledge as the content of teaching English, respecting local languages alongside English, and teaching in response to the demands of the global knowledge market. g. inspiration: finally, when we share ideas like this, our students will be inspired to share their ideas with local, national, and global communities; this is good modeling of the idea that our ideas are important too. We have been encouraging Nelta members to post their ideas on the blog, to respond to monthly discussion posts, and to let others know about this collaboration. If you look at the archive of monthly issues, you will see that we have covered some very important issues ranging from critical pedagogy, local epistemology, globalization and ELT, world Englishes, teacher development, ELT methods, to needs analysis in teacher training. In the first few months, we discussed some larger critical/theoretical frameworks but in the specific context of Nepal. Then we moved on to more concrete issues of classroom teaching, while retaining the critical flavor in the reading and discussion. We are glad to say after almost one year now that this networking has continued, and those of us involved in coordinating these discussions are very proud to hear that Nelta executives and Nelta members have likee the networked collaboration. What we need more is for Nelta members to respond to the posts, volunteer to post entries as editor for the month, and encourage other colleagues to engage directly in the discussion. On the ground, we need to do professional communication face-to-face. But those of us who are able to build some resources online, promote networking, and connect our work worldwide must also make the extra effort to take steps that will become the imperatives of the near future. In fact, online collaboration is going to become both possible and necessary even within Nepal, because of the rough geographic terrain and relatively affordability of web-based networking. There are several challenges that we recognized as we started the networking and those challenges still remain. Perhaps the biggest challenge about promoting professional collaboration among Nepalese ELT practitioners is that the culture of professional discourse has not been very well established. Before Nelta reached across the country and established the practice of training, conferences, publication and other means of professional discourse, teacher training in the public sector used to be seen mainly as an opportunity for teachers to get a raise, better their image, and earn the training allowance–and in many cases it was only for the last one that teachers would participate in trainings. Nelta has evidently made great change in attitude towards professional development as a means of better teaching and professional performance among English teachers. What still seems to remain challenging is for teachers to come forward in whatever forums are available (or accessible) and share their ideas with the confidence that their ideas matter, that they should be knowledge-workers who do not only look up to “bideshi” “thinkers” and a few national experts to think about their profession and develop a discourse of our own and address our problems with our own theories and approaches that are grown at home. Of course, technology has not yet advanced well enough for many of us to be able to do what we want. When we make the monthly request to Nelta members at home and abroad to please initiate or join the professional conversation on Choutari, we never forget that access is quite limited for many of us; time is limited for others; and many of us do not have the needed level of technological skills–or the motivation to go online and join the discussion. And yet we know that someone has to do this kind of work, pave the way for future work, show what is possible, experiment and take the challenge of ideas, and not just sit there doing nothing because many of us do not have the access. We ask those of us who do have a little bit of access and time to please say something. That is, even without technology, in the face-to-face situation, professional collaboration doesn’t happen on its own. The challenge before us is promoting that culture of discussing, theory-building, and developing critical perspectives about our discipline. Nelta has come a long way in training its teachers, establishing ELT communities around the country, making resources available, and in general uplifting the work of language teaching to a level of a “profession.” Our generation must take that legacy much further by adding new dimensions, in response to the tremendous challenges brought about by Nepal’s entry into the global economic and intellectual market. As of now, there are challenges related to technology as well as the lack of resources for publication, conferences, and other modes of professional communication. But, by the time when technology, resources, and expertise become more available and widespread, which is increasingly possible in spite of the great political throes that the country is going through, we must be ready and prepared to take advantage of those developments. How we can be prepared for the future, as well as how we can respond to the challenges of the present, should be the subjects of sustained discussion in professional fora of various types. In terms of encouraging teachers to participate in off line and online discussion–whichever they can participate in–it is necessary to develop a new culture of speaking up, with the confidence that we too have ideas worth sharing, and with the viewpoint that knowledge is what we and our students produce from out of our own life and experience and to meet the needs of our own work and progress. We need to realize that we are educators who must do more than teaching a language; we need to identify our true goals as well as challenges and limitations that we face; and we need to begin to listen to our own voices. That is what we are calling for today. History of English language teaching has taught us that there are binaries between theorists and practitioners, between experts and teachers, and between researchers and users of researched knowledge. We need to deconstruct this traditional notion of knowledge-providers and knowledge-consumers. NeltaChoutari will make efforts to theorize practitioners’ knowledge that comes from classroom experiences. Teachers will be encouraged to share their experience and knowledge to a broader practitioners’ community. When necessary, NeltaChoutari members and other contributers will provide mentorship to the teachers who have wealth of experience and knowledge, yet need some form of assistance to translate their stories into ‘readable’ and ‘sharable’ forms for the larger community. There are frequent useful and interesting postings in neltamail by our fellow NELTA colleagues. These posts deal with crucial issues in language teaching and teacher training in both local as well as global contexts. There are also occasions when our fellow NELTA colleagues have been to other ELT communites similar to or larger than ours and have got exposure from a different context. For example, some teachers from Nepal have been to other countries for training or research purposes and have had different kind of experience. They have been sharing their experience via neltamail. These people will be requested to post their useful ideas as blog entries in the NeltaChoutari. Those who are interested to contribute frequently for the blog entry will be provided with an access to add, edit, post, etc. the entries for the blog. We’ll not only teach (if they request) the skills of blogging, but also encourage them to study blogging via internet or other printed sources. We’ll help them find appropriate resources. Our goal is to prepare a platform for grassroots teachers to share their teaching stories and experiences, and benefit from each other’s knowledge-sharing. Because of the challenges that have been outlined above, we need to go step by step. We must remember that a journey of 1000 miles starts from a step. As NeltaChoutari team, we would like to personally and collectively request our colleagues and students to contribute for the blog. Because some of us are teaching M. Ed/M.A. students in the university, we will be requesting our students to contribute for the post. We will help them translating their experience into a sharable form. Students can make a few page long blog entry out of their thesis report or course assignment. As far as possible, people from within Nepal will be encouraged to contribute for the blog. In a recent correspondence with Shyam Sharma, one of the members of NeltaChoutari, the President of NELTA (Mr. Ganga Ram Gautam) has indicated that in the near future NELTA will assign an executive committee member as coordinator for the different kinds of professional activities on the web–for example, the efforts of Nelta Choutari. In order to implement what could be called a mission for ‘NELTA on the Web’, the role of an official coordinator will be necessary because the spontaneous increase in professional networking will make more sense if they can be guided by NELTA’s core professional goals. The goal of such a mission (‘NELTA on the Web’) would be not only to promote professional discussion for those who have access to the web but also to better connect local/branch ELT professionals with the national and the Nepalese ELT community with the global community but also coordinating between online and offline efforts for promoting professional communication and professionalisation. 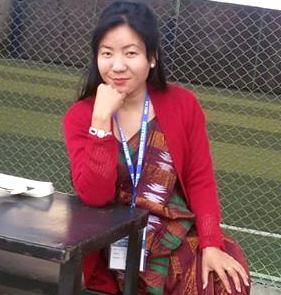 I am happy to get such a rising web site related to ELT from Nepal. I wish, all the best on the occasion of New year -2010. I am happy to read such a scholarly discussion. I hope such discussion among the English teachers will really be fruitful to better the English studies in Nepal .